Mother Teresa of Calcutta to be declared a saint September 4, Pope Francis announces - Balita Boss! Blessed Mother Teresa of Kolkata (as Calcutta is now called) will be declared a saint on September 4, 2016, Pope Francis announced on March 15. Born Agnes Gonxha Bojaxhiu in 1910, the nun who dedicated her life to helping the poor in India was beatified in October 2003 by now deceased Pope John Paul II. To be declared a saint, one miracle for the person to be declared blessed and then a second miracle for sainthood. The official process for declaring someone a saint is called canonization. 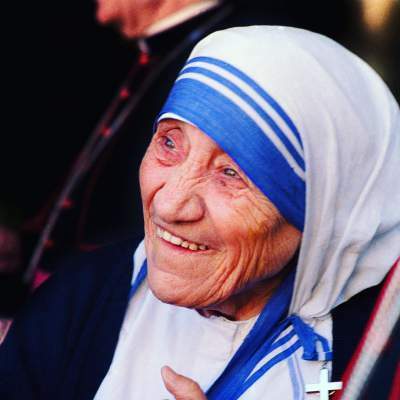 Mother Teresa’s first miracle, the healing of a tumor in the abdomen of an Indian woman, Monica Besra was officially recognized by the Vatican and counted toward her beatification in 2003. In December 2015, Pope Francis approved a second miracle attributed to Mother Teresa, the healing of a Brazilian man with multiple brain tumors. It occurred after her death in 1997. In 1950, Mother Teresa established Missionaries of Charity, a Catholic congregation which helps the poor, the ill and the homeless. She won the Nobel Peace Prize in 1979. Mother Teresa, who died in 1997 at the age of 87, was known as "Saint of the Gutters", because of her work among the poor. To know more about Mother Teresa, watch the video below. A film on the life and work of Mother Teresa posted by bappa ray in YouTube.